Olof Palme Prize is an annual prize awarded by the Olof Palme Memorial Fund since in 1987. 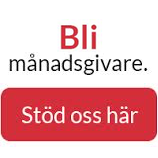 The Olof Palme Prize is given to a single recipient or to several for an outstanding achievement in any of the areas of anti-racism, human rights, international understanding, peace and common security. The nomination process of the year’s Olof Palme Prize begins in September. The Prize-winner is chosen by the Fund’s Board in November, and the award ceremony takes place in Stockholm in late January of the following year. 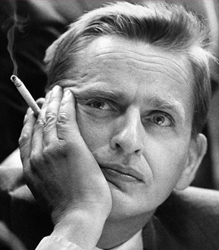 The Olof Palme Prize is announced in January. Pierre Schori, Joakim Palme, Anna Karin Hammar, Anita Klum, Berit Müllerström, Anders Ferm. Name, title and contact information of the person who nominates and, if possible, contact information of the nominee. Please state your relationship with the nominee. Write a short introduction to the work of the nominee. Please include links to websites or any additional information that may be useful. Briefly state the reasons for the nomination and motivation as to why you think the Olof Palme Memorial Fund should reward the nominee. The Olof Palme Prize is intended mainly for individuals. If your nomination applies to an organization, please state the name of the person who will represent the organization.